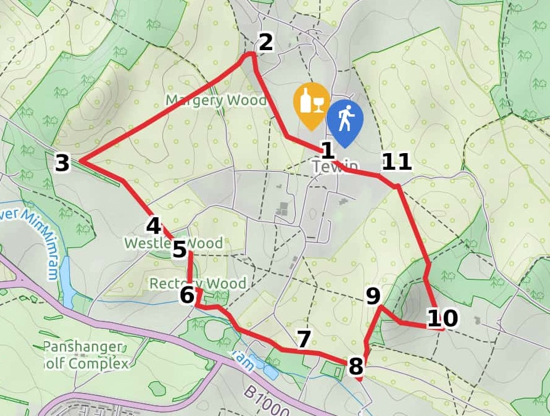 A circular walk from Tewin down to the Mimram Valley and back via Home Wood. 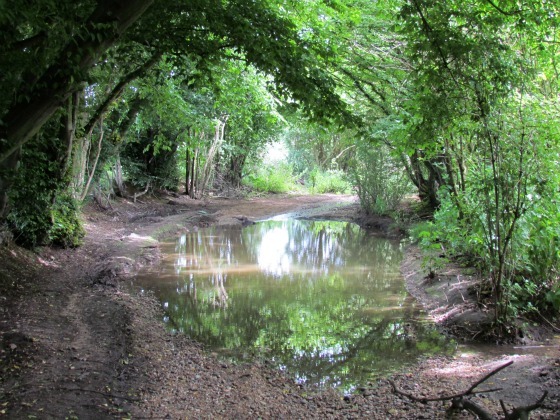 This walk takes in part of the route for Walk 45: The Tewin West East Loop but heads down to the River Mimram instead of crossing the fields. Park near the village green in Tewin, walk towards the Rose & Crown. Just before you reach the pub, head west then north-west along Back Lane. Here you continue straight heading south-west until the path drops down and meets a track at a T junction. Turn left. Continue heading south-east along this track until you reach Churchfield Road. Cross the road and enter the footpath on the south-east side of the road and continue until you reach another track T junction. Turn right and head south. Follow the signs through Tewin Bury Farm and emerge at the other side by the bridge over the River Mimram. Just before the bridge turn left and continue along the track on the north side of the river heading west. Follow this path past fish farm until you reach Archers Green Lane. Turn right along Archers Green Lane and soon after it veers south-east look out for a footpath on your left. At a footpath T-junction turn right and head east until you reach another path on your left heading north across the field. 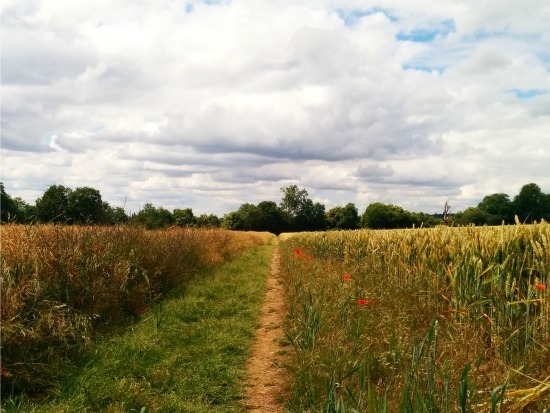 Take this path through Home Wood and across a field until it emerges on Hertford Road. Turn left on Hertford Road and walk west back to Tewin village green.